The property enjoys an excellent location within easy reach of a number of surrounding towns including Dunshaughlin (7 km), Dunboyne (11km), Maynooth (13 km), and Summerhill (12 km). It\'s accessibility to the Motorway network of the M4 (Junction7/ Maynooth) and M3 (Junction 6/ Dunshaughlin) is one of the strongest selling attributes in addition to the fact that Dublin Airport is only 40 minutes from the property and the City Centre is accessible in less than one hour. 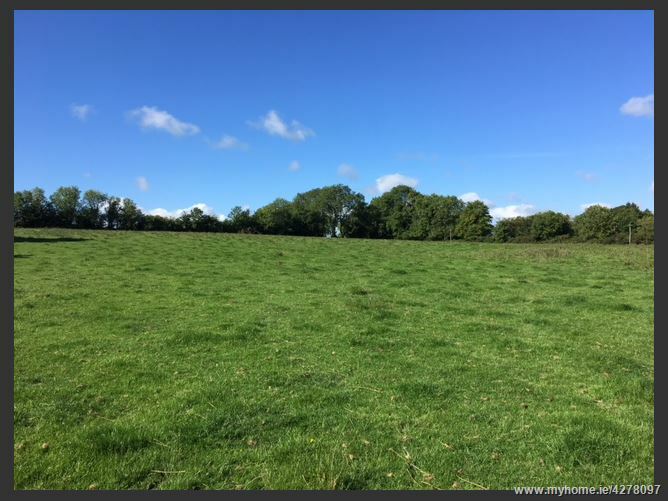 Comprises c. 13 acres with road frontage, all in grass and occupying a superb elevated setting with views toward the Wicklow Mountains and directly over Maynooth. The entire is surrounded by natural hedgerows and mature timber and would make a lovely site for a residence (subject to usual PP). Schools: Primary & Secondary available in adjoining towns in addition to private secondary at Clongowes Wood, Headford & Kings Hospital. Shopping: Mayooth, Dunboyne, Dunshaughlin & Blanchardstown. 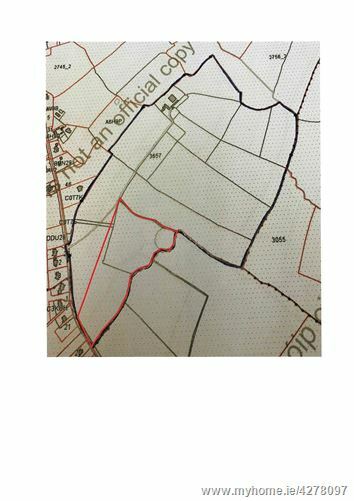 Hunting: Meath\'s & Tara Harriers. Coonan Cawley Solicitors, Naas Town Centre, Wolfe Tone Street, Naas, Co. Kildare (Ref: Andrew Coonan). Take the M3 towards Dunshaughlin and Exit at Junction 6. Proceed towards Kilcock on the R125 for 5km and turn left at Jordan sign. Property will be on your left after 1.5 km with a Jordan sign. Take the R125 towards Dunshaughlin and turn right onto the R156 after circa 8km. Go for 3km and turn left at the Applegreen Service Station and proceed for 2km. Property will be on your right with a Jordan sign.